Is it raining heavily outside? Can't go to your club or party? Just relax !! why don't you enjoy a sizzling evening with this yummy snacks...raw jackfruit pakora. 1)Boil the potatoes. Peel off potatoes after boil. 2)First Cut the jackfruit into small pieces and bring the seeds out. Boil the jackfruit till it gets softens. 3)squeeze the boiled jackfruit to make a paste. 4)Heat oil in a kadai. Add jackfruit paste, ginger paste, garlic paste, chilli powder, onion paste and sugar. Fry the mixture until it changed into light brown. Put the mixture in a bowl after turning off the flame. 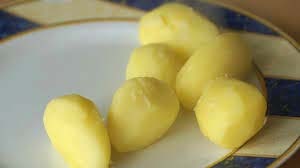 5) Add salt in the boiled potatoes. Add it with the mixture to make a tight paste. Cut it into small round shape balls. 6)Take besan in a bowl and mix it with water to make a liquid batter. 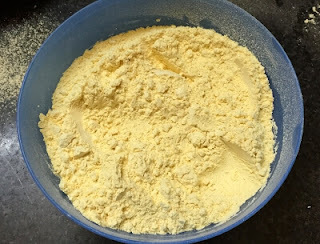 7) Dip the balls one by one in this batter. Heat oil in kadai and Once oil is hot put the coated balls slowly in the oil. 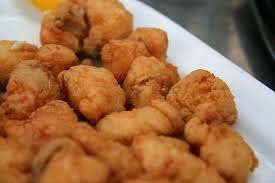 8)Deep fry until crisp and turn golden brown. take them out of kadai and mix black pepper powder on pakoras before serving.